Biologist Roland Knapp works in the Sierra Nevada, seeing every day the impact humans have on the environment. And he’s learned that one of the most important tools for fighting climate change is our own hearts. Sometimes it’s hard for us as humans to wrap our mind around the fact that a single species, us, could have these dramatic affects, globally. Is that possible? Could humans really be causing the ice caps in Antarctica to disappear? That’s hard to wrap your head around. And I think some of that – why should what I do over here have any affect on what happens over there, and even if it does, so what, it doesn’t affect me – I think that happens because we don’t have a connection to these places. Get out into the world. Get out into the world and look at that world. Find an ecosystem that really moves you in some way. For me, that’s the Sierra Nevada, for somebody else it might be blue oak woodlands, for somebody else it might be the ocean. All it takes is walking around in those systems, whether it be the coastal ranges around the Bay Area watching newts emerge from their overwintering areas and make their way to ponds, and immediately realizing, "Oh my gosh, they’re having to cross these roads and they’re getting run over." It’s pretty hard for anybody, I think, to see that sort of a potential impact and not want to do something about it to minimize that impact. If we had the ability to understand these ecosystems, and understand our potential impact to them, we could probably avert many of the impacts we’re now struggling with. And that’s true for climate change, that’s true for biodiversity loss. It’s a very high bar to ask society to try to anticipate the effects of their actions. And yet, if we want a planet that has some fraction, even, of the species we enjoy and that have inhabited this planet for millions of years, we’re probably going to have to adopt that kind of an approach. 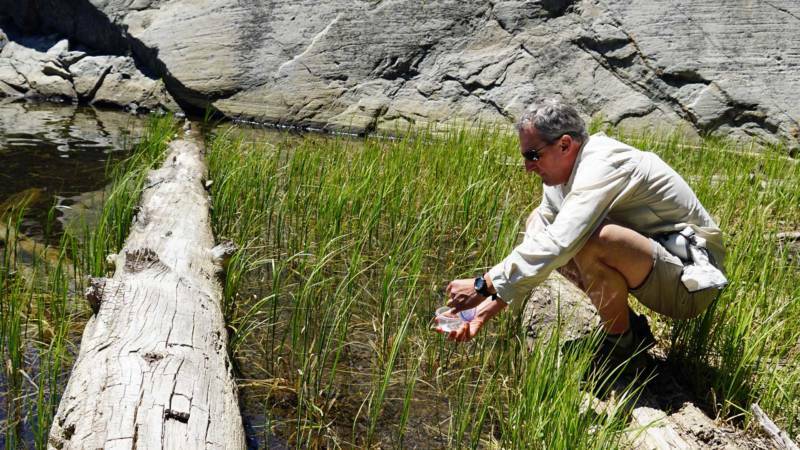 Roland Knapp is a biologist with the University of California Sierra Nevada Aquatic Research Laboratory.